Continuing with our Valentine’s Day trend, today’s story is yet another success story of love. 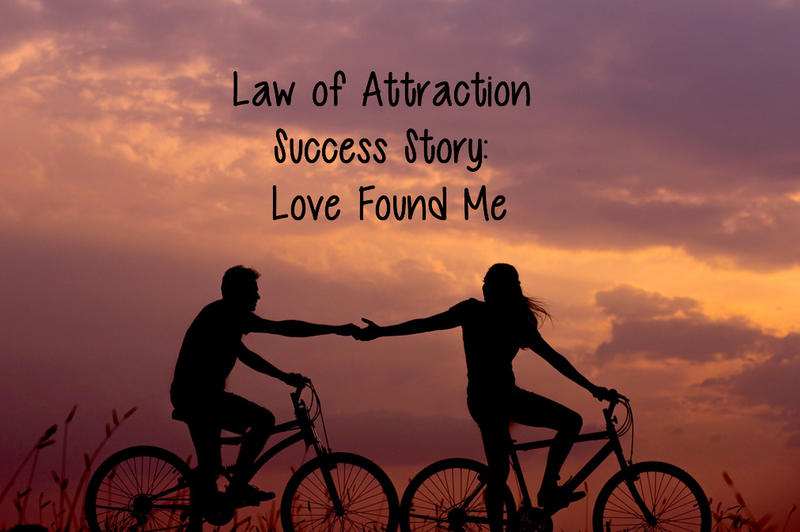 In this story the author narrates how she found true love with the help of the law of attraction. The story shows how a simple change in thought can help you manifest your perfect life partner. I have been single all my life. I thought that I would always be single, but I always had hope. Hope kept me going, hope helped me be strong. However, naturally I kept on doubting myself and constantly feeling down until I came across The Secret. The Secret has changed my life completely, it made be positive and it made me believe. I always saw things in positive light, only spoke of positive things and encouraged people to do the same. I started believing at the age of 33 that I would find true love and so I did. There was only one thing that I had to do and that was I had to change the way I thought. I made no list of my ideal man, it did feel like it would work for me. I told the Universe that all I wanted was to be in love and to be loved back. That’s all I asked from the Universe and it happened. I am now happily married to the love of my life. We now want to start a family and I know that the Universe will give us that to. Thank you, thank you, thank you, thank you! About the Author: 33 years old female from London who found love.